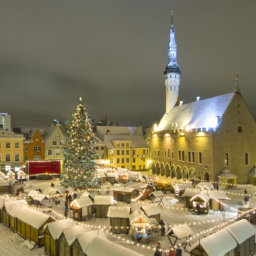 Estonian real estate sales rose by eight per cent y-o-y in May 2012 according to a report on the Baltic Business News website. The biggest reported rise came in the pharmaceuticals sector, which saw a 13 per cent y-o-y rise, though this was due to the lower reference base from the previous year, the report stated. Sales of manufactured goods rose by eight per cent over the same period, whilst non-specialized stores selling predominantly industrial goods together with stores selling textiles, clothing and footwear saw a sales increase of 12 percent year-on-year over the same period, according to the report. That said, the seasonally adjusted figures saw no increase on a monthly (as opposed to y-o-y) basis, though there was an increae of seven per cent when unadjusted, according to the report. For the period January-May 2012, there was a nine per cent y-o-y increase, the report stated.